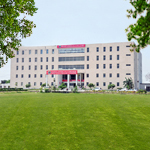 Rama Medical College, Hospital and Research Centre, Kanpur is a world class medical facility located on Kanpur. The College and Hospital is spread over a collective area of 5,50,000 Sq. ft. Established in the year 2011 , Rama Medical College has been producing qualified and expert medical professionals who are not only good at their profession, but also carry deep values that make them inclined towards serving the community. The college offers a great learning platform to the students and enables them to learn, observe, practice and master the skills required. The courses offered are designed with a fine blend of theoretical and practical learning and give the students a deep insight into their chosen subjects. The teaching faculty comprises highly qualified medical experts who guide the students with a compassionate and progressive approach. While serving as a strong learning platform, the hospital also caters to the medical needs of the people living in that area. The departments within the hospital include, Cardiology, Cardio Thoracic Surgery, Nephrology, Gastroenterology, Urology, Neurology, Neurosurgery, Pediatric Surgery, Plastic Surgery, Reproductive Medicine, Surgical Oncology, Radiotherapy and Blood Component Unit. 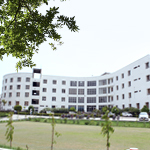 Rama Medical College, Hospital and Research Centre, Hapur is a world class medical facility located on Hapur.